For some reason I’ve been putting off writing this post. While I’m happy about celebrating one year sober, I’m emotionally drained. Last week I attended two memorial services for young women who were taken too soon – both mothers. And, in the middle of that I celebrated one year sober. It was bittersweet in so many ways. After driving back from attending Sadie’s service in California, while tired, I went to my home group meeting that evening to get my one year coin. My sponsor was planning to be there and it was important for me to be with the people who had been with me from the beginning – those who loved me when I couldn’t love myself. Ironically, the topic of the meeting that night was “love.” If there was one word to describe Sadie’s service and Malia’s service it would be “love.” The love that shown through their bright smiles and the love displayed by those who came to celebrate and honor their lives was immense. While I was saddened by their loss, my heart was full. In reflecting on the past year, I realized that the love I have received and the love I am able to now give is what matters most. I am not cut off from the world anymore, instead I am able to receive all that it has to offer and to finally give back after so many years of taking. Sadie and Malia both loved deeply. They loved their children, their faith, their families and friends. I am more grateful than ever to have the ability to love like they did. To live my life not for me alone, but to live as God intended me to live – honest, joyous, peaceful and loving to those around me. So, now what? It seems like a year sober is a pivotal time for me. I will never be a fully “recovered” alcoholic. I will always be “recovering.” I might not feel the anxiety that I felt in early sobriety, but I continue to be challenged with new situations that I must learn to “walk through” sober. It’s not easy, but no one ever said it was. I will continue to write about my sobriety and my journey living sober, however, I might delve into other topics along the way. Next week, I start the process to become Catholic. This has been a long time coming and I’m excited. My husband will be my “sponsor” (yes, they have them there too!) and I’m grateful for that. He has been an example of faith when I didn’t even know what faith was. It will be a new journey for me, but it will also be a journey for us together. Sobriety has taught me a lot of things, but most of all it has taught me the willingness to change, to follow my heart, to be okay with the unknown and to be at peace with my life – just the way it is. Nothing more, nothing less. Congratulations on your year. You’ve learnt so much it seems. My first year had 9 months of just holding on but getting hope I remember clearly how I felt getting my 1 year coin – elated! In my second year I had to walk through my mother passing on. I grew in that too. Good luck on your journey. Thank you! I’m sorry about your mom. I lost my mom too, but prior to becoming sober. Still, very hard. Thanks for your support! I am so sorry for your losses and congratulations on one year! So awesome! You have traveled an amazing journey! I always keep in mind that through the darkness I get to the light and I grow and fill my spirit with all that make us human. And it looks like you have too. It is the tough times that make us stronger, now that in sobriety we learn how to get through them and come to the other side. I never understood that when I was drinking, somehow I really thought that the drink would just take it all away. But it never did. 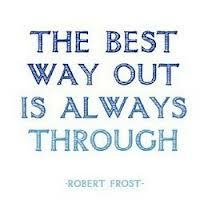 Sobriety doesn’t either but we are able to experience life as it truly is, the good and the bad and the tragic! Thank you for this post! Congrats and sending many hugs! Thanks Maggie! One of the hardest parts about getting sober was experiencing reality. At first, I thought it was horrible, but now I feel it’s a true gift to experience it in all it’s glory – the good and bad parts. I feel like I’m truly experiencing life, instead of skipping over certain parts. Thanks for your encouragement! Wonderful, wonderful insights. Even in recovery, some of us don’t feel this at a deep level that I sense you do. The recent losses in your life seem to hammer these statements home, yes? And I am sorry to hear about these. The message from God doesn’t seem to be lost on you, and this is something that you will pass on, in many way, through love and service. Thank you, Paul! I always appreciate your support and encouragement! Now, that the kids are back in school I hope to get back into the swing of things with the blog! I’m so sorry for your losses but glad you got to celebrate your one year surrounded by love. Thanks for being here and sharing. Bittersweet, Chenoa. So happy for your one year, but sad to hear it was bookended by loss. Thank you! I know, kind of funny about the sponsor thing. I’ll be blessed with sponsors from all areas of my life! Chenoa, I am so glad that you opted to write about your one year milestone, and the most heartfelt of congratulations for this achievement. It is a miracle for the addict/alcoholic to achieve any sobriety, but 365 consecutive days? It’s truly a gift, as is this post. Your friends are cheering you on right now, and they are as proud of you as the rest of us here on Earth are. As a lifelong Catholic, first, let me say… WELCOME! And I am so interested in reading about the adult conversion process, I hope you will be writing about the experience. In the meantime, I am praying for you, and the family of your departed friends, as they navigate the early days of grief. Thank you so much, Josie. Your support means so much to me. I’m excited about starting the RCIA classes this week. I’m sure I’ll have a lot to write about! Thanks, Lisa! Really appreciate your support and your presence in the blogging community. Thanks, Karen! I’m reading Glennon’s book right now – love her take on things! Thank you! And, congrats to you on your 69 days – that’s awesome! Remember, just one day at a time. I cannot express to you how much better life is in sobriety. It’s like waking up after a long, long slumber. It’s beautiful – not always easy – but beautiful nonetheless! I just had my second RCIA class last night and I’m so excited and hopeful. God has lead me to this point and I am trying to take it all in and enjoy every minute. I look forward to writing about my experience! Thanks again for your words of support!